Healthcare is an ever-changing industry, with doctor jobs evolving daily in an effort to keep up. Medical science is constantly making new discoveries, creating new drugs, inventing or improving biomedical equipment and procedures. Recent changes to health insurance laws and patient confidentiality requirements have sparked even more changes in the operations of health care facilities throughout the nation. Through it all, we put our trust in our physicians to keep up and guide us through the confusing minefield of healthcare. With all of these changes and increased expectations, qualified, certified, experienced physicians are more in demand than ever before. Doctor’s Choice Placement Services has earned its reputation as an industry leader in the recruitment and placement of physicians in all areas and specialties in the healthcare field. We fastidiously maintain our extensive online database of available doctor jobs throughout the entire United States to ensure our physicians are aware of the many opportunities open to them. 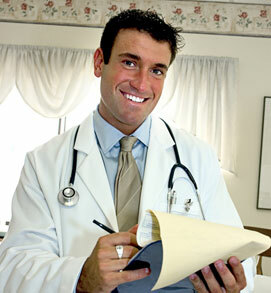 At Doctor’s Choice we understand the importance of matching the right physician to the right position. We have jobs available in every state, with openings in a wide variety of specialties, and ranging from hospitals and health care centers to private practices or even government facilities. Our first step is getting to know each physician, their experience and qualifications in the medical field and their ultimate career objective. Our goal is to then assist each of these physicians in finding that perfect placement, taking salary, location, and area of expertise into account. Why Should You Use Doctor’s Choice for Doctor Jobs? Physicians who choose Doctor’s Choice to aid them in their job search get the advantage of our team’s experience. From the very start, we provide you with one-on-one personalized assistance, from the resume building process and interview preparation, all the way to facilitating contract negotiations should you be selected by the hiring party. Our mission is to help physicians find long-term placements. There are no fees for physicians, physician assistants, or nurse practitioners utilizing Doctor’s Choice services in their job search. Our fees are paid by the hiring party should we find them the right applicant to fill their open position. In addition to the healthcare jobs listed on our website, we have other helpful resources for you as well, including links to medical associations, salary calculators, cost-of-living information for different parts of the country, and even links for booking travel arrangements for site visits and live interviews. If you are a physician looking for a new place to practice medicine, let Doctor’s Choice Placement Services help. We are standing by to help you sort through our list of doctor jobs to find your new career opportunity.